Two hundred years ago, half of the world went dark. The Tambora volcano in what is now Indonesia blew its top in April 1815, killing more than 60,000 people and turning the summer into winter across much of the Northern Hemisphere. It is considered the largest eruption to have occurred in 750 years. "Because Tambora ejected sulfurous gas that generated sulfate aerosols in the atmosphere, which block sunlight, the eruption created a year without a summer, leading to food shortages -- people were eating cats and rats -- and very general hardship throughout Europe and eastern North America," said Stephen Self, an adjunct professor of earth and planetary science at the University of California, Berkeley and an expert on volcanoes. To commemorate the eruption, scientists will gather at a four-day conference next month in Bern, Switzerland. Along with discussing that disaster, they plan to talk about what can be learned from it, including the threat posed today from volcanoes and what role eruptions are playing in regulating the world's climate. "An eruption of that size today would certainly have major effects on air traffic as well as atmospheric circulation around the globe, so we would like to know when the next big one is coming," said Self, who plans to deliver a talk April 7 at the opening day of the conference and publish a commentary on the risk posed by volcanic eruptions in the April issue of the journal Nature Geoscience. "But we can't predict that if we don't know the size of past eruptions and when they took place." One can surmise the potential devastation caused by big, Tambora-like eruptions by looking at much less powerful eruptions like the 2010 eruption of the Icelandic volcano Eyjafjallajökull, which grounded thousands of air flights and spread ash over much of Western Europe. But Self said the challenge is that information about major eruptions over the last several thousand years is in short supply. "Even in a country with well-studied volcanoes, like Japan, at least 40 percent of the big eruptions are missing from the record," he said. "And if you look back beyond the past 1,000 years, to 3,000 or 4,000 years ago, the record gets worse and worse. We know there are big eruptions hiding from the record that we don't know about." But it isn't like there aren't any records of previous eruptions -- and some of those were here in what is now the United States. Crater Lake was created by an eruption of Tambora's size 7,700 years ago, and the area around Yellowstone National Park was ground zero for a long series of super-eruptions, the most recent occurring about 640,000 years ago, that blanketed much of the North American continent with ash. Long Valley caldera east of California's Sierra Nevada, within which sits the town of Mammoth, is considered an active supervolcano, though it's one and only huge eruption was 760,000 years ago. Many explosive eruptions send sulfate molecules, primarily sulfuric acid, around the globe that fall as acidic snow on glaciers and ice caps, leaving traces that can be seen in ice cores from Greenland and elsewhere. Self suggested that one mysterious ice-core sulfate peak, dating from 1452, resulted from an eruption off the island of Vanuatu in the Pacific Ocean. It left behind a submerged hole, or caldera, remembered only through local legend. "The current global volcanic eruption record is incomplete and difficult to interpret," he wrote in Nature Geosciences, with coauthor Ralf Gertisser of Keele University in the United Kingdom. "It is high time for a systematic exploration of all the available eruption archives -- ice cores, ocean sediments, remotely sensed caldera volumes and geochronological analysis of eruption deposits -- so that we have a better chance to understand potential future hazards." Self's concerns were echoed in a report issued in January by Global Volcano Model and the International Association of Volcanology and Chemistry of the Earth's Interior. 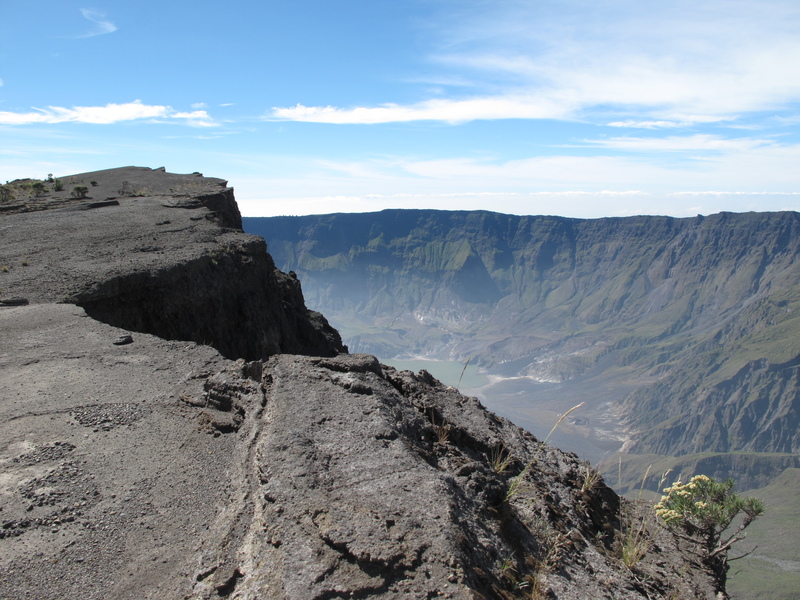 It noted there is a lack of information about the frequency and size of eruptions like Tambora, which makes it hard to estimate the danger to life and property from historically active but not currently erupting volcanoes. Although 800 million people in 86 countries live within 100 kilometers of a volcano, the report found that 90 percent of the volcano risk worldwide is in Indonesia, Philippines, Japan, Mexico and Ethiopia. Indonesia, which lies in what is called the Ring of Fire, was identified as the most dangerous place. Along with Tambora, it was home to maybe the most famous eruption ever, on Krakatau. Its 1883 eruption killed more than 34,000 people and was the second deadliest after Tambora. More recently, scientists uncovered an eruption in Indonesia to top all eruptions. Occurring about 74,000 years ago, Toba is considered the most destructive super-eruption -- creating a 100-by-60-kilometer caldera now occupied by Lake Toba, and spreading ash as far away as the Himalayas, 3,000 kilometers to the northwest. Some even suggest the eruption -- the largest in 2.5 million years -- almost drove humans to extinction. "We can't stop an eruption," Self said. But we can prepare for one.